Accidents, especially accidents where you are at fault, may increase your insurance premium for 3-5 years. If you get into a minor accident, especially one in which yours is the only vehicle involved, you may want to pay out-of-pocket instead of reporting a claim—the amount you pay in accident surcharges can be more than the vehicle repairs if the claim is just a few hundred dollars. Speeding tickets and other moving violations can drive your rates up substantially and these, like accidents, usually affect your insurance for 3-5 years. Deductibles are what you pay towards a loss before your insurance policy kicks in. By requesting higher deductibles, you can lower your costs substantially. For example, increasing your deductible from $200 to $500 could reduce your collision and comprehensive coverage cost by 15 to 30 percent. Going to a $1,000 deductible can save you 40 percent or more. Before you buy a new or used car, check into insurance costs. Car insurance premiums are based in part on the car’s value, the cost to repair it, its overall safety record, and the likelihood of theft. Many insurers offer discounts for features that reduce the risk of injuries or theft. Some companies also offer discounts for hybrid vehicles. Consider dropping collision and/or comprehensive coverages on older cars. If your car is worth less than 10 times the premium, purchasing the collision and/or comprehensive coverage may not be cost effective. If you have vehicles that you don't use during the winter months or for long periods of time during the year, you can save some money by removing the liability from them while they are idly stored. By carrying comprehensive only during these times, your vehicle is still covered for theft, fire, vandalism, etc. Your liability coverage can be added back on when you decide to use the vehicle again. Some companies that sell auto, homeowners and umbrella coverage will take 5 to 15 percent off your premium if you bundle two or more policies from them. Luckily, R&R Insurance represents numerous companies that do just that! Establishing a solid credit history can cut your insurance costs. There is a statistical correlation between certain aspects of a person’s credit rating and the number of insurance claims the person might be expected to file. Insurers are increasingly using credit information to price auto insurance policies. Check your credit record on a regular basis and have any errors corrected promptly so that your record remains accurate. See improving credit rating. Never let your insurance policy lapse. You may find it difficult to obtain insurance if your policy expires, and your insurance may be more expensive than it was before. Customers who let their insurance expire—even for a couple days—are statistically higher-risk, and insurance companies often charge extra for this. If you don't drive very far to work, or if you carpool, make sure this is accurately indicated. 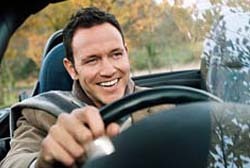 Underwriting will take into consideration how much time you spend behind the wheel. Be sure to keep this updated if you change jobs. There may be a price penalty attached to 3- or 6-month policies, so the longer your policy term, the better your rates will likely be. If you've kept your coverage with a company for several years, you may receive special pricing for being a long-term policyholder. Typically insurers like to see loyalty for at least 3-5 years. 13. Last but not least, ask! You could get a discount if you take a defensive driving course. If you belong to a professional association, from dental hygienists to fire fighters, you could be eligible for a discount. JUST ASK. Wisconsin residents, be sure to contact knowledgebroker, Brandy Enger, for the best valued personal lines insurance in Wisconsin! We'll ask the right questions to ensure you are getting every discount available to you.